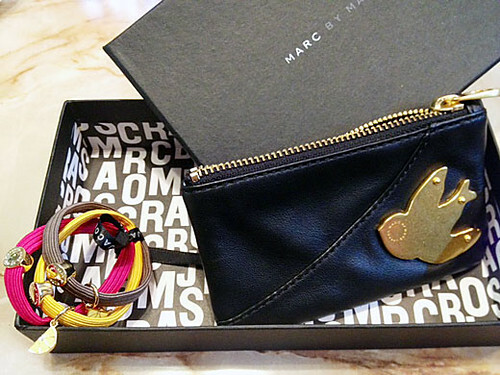 I got a metal bird adds whimsical charm to a leather key pouch & citrus charm pony bands from Marc by Marc Jacobs. These are birthday gifts from my sis. I am in love with this little bird. The touch of this leather is great, soft and supple! Gold-tone brass citrus slice charms of pony bands are lovable! Thank you for the gifts and thank you for being my sis.